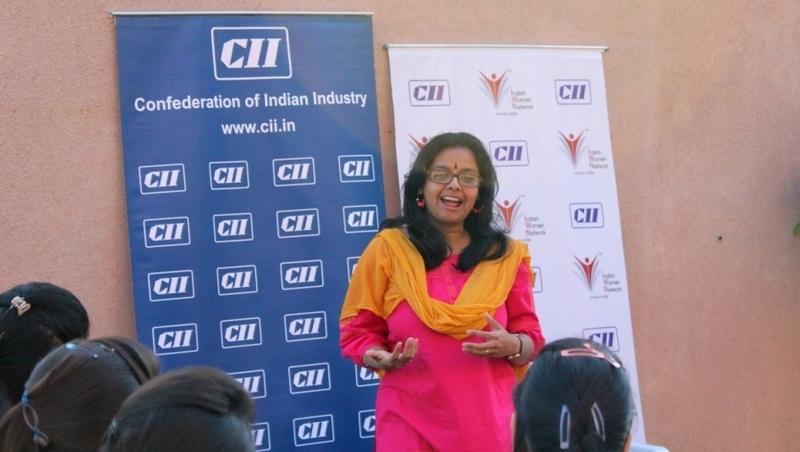 CII Indian Women Network Madhya Pradesh Chapter organized a session on “Rising above” at Acropolis group of institutions, Indore on 02nd December 2014. Ms Kavitakunwar Jhala, Content Writer, Creative Fingerprints was the speaker for the session. With an objective of motivating girls to explore entrepreneurship as a career option, she shared her story of becoming an entrepreneur. She converted her creativity and hobby into venture. She also said that there is no requirement of any skill sets to be an entrepreneur. Ms Jhala focused on surrounding oneself with good people, believing in own potentials, rising above the challenges and connecting to the community.